Home Advice	Should you trade your old car into the dealers? Buying a new car is an exciting time and it means that you can finally get rid of your older, less loved car. Most of the time, new car buyers just “trade in” their older car into the dealers and it is the topic of one of the most commonly asked question by users on carloop. Is trading your older car into the dealers the best thing for you? 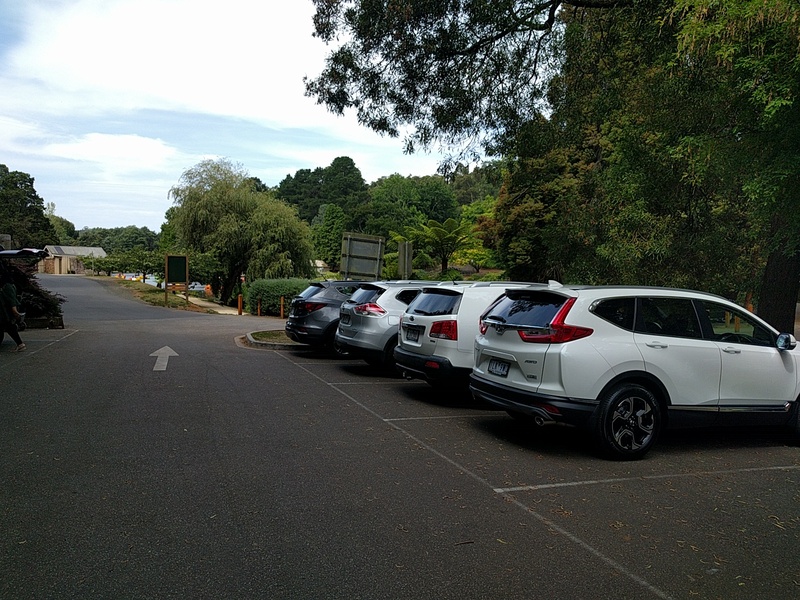 Today I share with you what Aussie new car buyers on carloop do with their used cars. What should you do with your old car when buying a new car from the dealers? Most Aussies looking for a brand new car from a dealer will need to get rid of their older car. You have a few options including trading it into the dealers, selling it privately, selling it to a used car dealer or giving it away. For most people buying a new car, it’s a choice of trading it into the dealer they buy the new car from. The old car is commonly called a “trade in”. This just means that the dealer will work out how much the old car is worth and take it off your hands at the time you pick your new car up. The other option is to try and sell your car privately on websites like carsales, facebook marketplace or Gumtree Cars which can come with a few hassles. 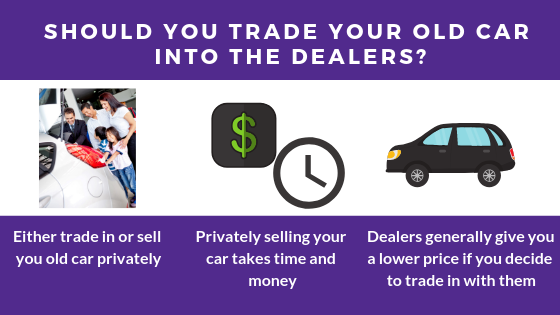 What are the benefits of trading in your old car into the dealers? The main reason many Aussies trade their old car in is because they just want a hassle free way of getting into their new car without having to worry about selling the older car on their own. With the trade in, the dealer takes care of everything. What will the dealer pay me for old car? The dealers will offer you a price that they can based on the condition of your car, their existing stock of your car, the market conditions and their margins. This generally means having to see your older car in person and then giving you an offer. If you are happy with that price, you can agree on it and they will take that off the price of your new car. Will the dealers rip me off if I trade the car into them? Dealers are still running a business and they will need to make a good margin on your car. Their goal is not to rip you off but to offer you a way to painlessly move from an older car into the new car you always wanted. The price they offer may be lower than what you could sell it for privately. That’s because they do save you a lot of time, effort, hassle and money that goes with selling the car privately. Can I get a better deal on my new car if I trade my old car in? This is a myth that many buyers feel is true. Having spoken to hundreds of buyers who have traded their old car in at the time when they buy a new car and the deal they get on their new car is not that much better than if they didn’t include it in. A lot of the times, dealers also prefer to offer a deal without taking the trade in value of the older car into negotiations.